Wisdom teeth removal are frequently done for wisdom tooth tend to have not enough room to erupt in the jaws, being the last tooth to develop and emerge from the mouth (normally between 18 to 24 years of age), which can cause them to be impacted. If the path of eruption of the tooth is blocked by another tooth or bone which therefore prevents it from assuming a normal position in the mouth, it is called an impacted tooth. However, not all wisdom teeth need to be removed. 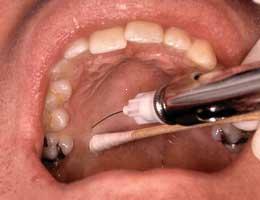 Surgical removal of wisdom tooth in absence of any disease or wisdom tooth pain is not usually indicated. However it should be monitored from time to time by clinical examination and radiographs. Decisions about surgery vary widely. Wisdom teeth, impacted, can lead to many complications including pericoronitis and tooth decay. Surgical removal of wisdom tooth can be done under local anesthesia or general anesthesia. The decision to use either anesthesia depends on the condition of the wisdom tooth and the judgment of the operating dental surgeon. General anesthesia is an induced state of unconsciousness or complete loss of protective reflexes, including the lost of ability to continually maintain breathing on your own as well as the ability to respond purposefully to physical stimulation or verbal command. Patients with need of a comprehensive dental treatment, for example in a situation where two impacted wisdom teeth need to be removed or where surgery may be technically more difficult. Local anesthesia has been defined as a loss of sensation in a specific area of the body without inducing a loss of consciousness. 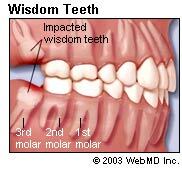 Most one-sided wisdom tooth impaction not presenting particular difficulty. Failure to adequately anesthetize the area. Temporary paralysis of the facial nerve on the face. Trismus (prolonged spasm of the jaw muscles in which the normal opening of mouth is restricted). Intravascular injection (injection of anesthetic solution into blood vessels). Biting of lower lip or tongue. 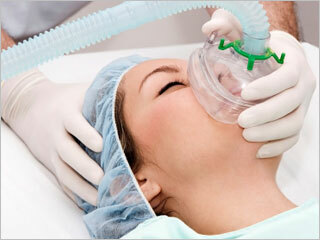 Psychogenic reactions or hallucination depending on the type of anesthesia used. Allergic reactions to local anesthetic solutions, infections and needle breakage are rare. Bite on a gauze pack as instructed by your dental surgeon for 15 to 20 minutes. Take rest and avoid physical activities. If pain is felt, take painkillers as prescribed by your dental surgeon. 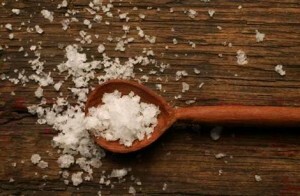 Avoid eating if the numbness of the anesthesia persists. Avoid warm food as it can result in bleeding. In addition, soft diet is advised. An ice pack may help reduce inflammation and swelling. Avoid brushing the involved area on the day of surgery. After 24 hours rinse mouth with warm saline solution to keep wound clean. Resume normal oral hygiene routine two days after surgery. Avoid biting the lips or cheek when anesthesia persists. This entry was posted in Oral Care and tagged general anesthesia, impacted tooth, local anesthesia, wisdom teeth extraction, wisdom teeth impacted, wisdom teeth recovery, wisdom teeth removal, wisdom tooth, wisdom tooth pain on August 11, 2011 by oileng.